Super Black & Gold Need Help? The Basic Shape is Retro Super Future's take on the classic wayfarer. Its slightly oversized and offered in a myriad of colors and designs. 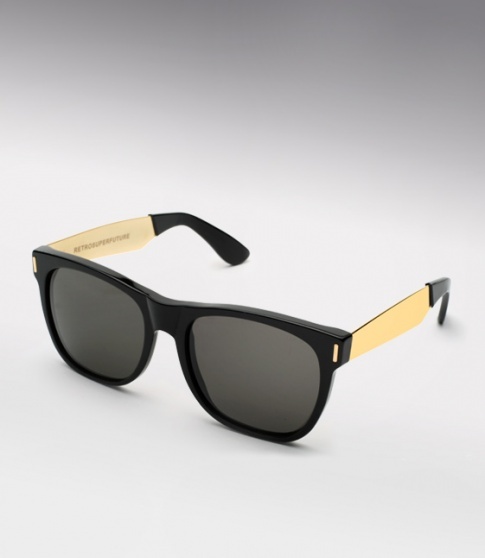 Classic black frames with (a dash of flash) gold temples. Whether you dress them up or just throw on a crispy tee and kicks , the Super Black and Golds will take care of the rest. What more can we say the pics speak for themselves.